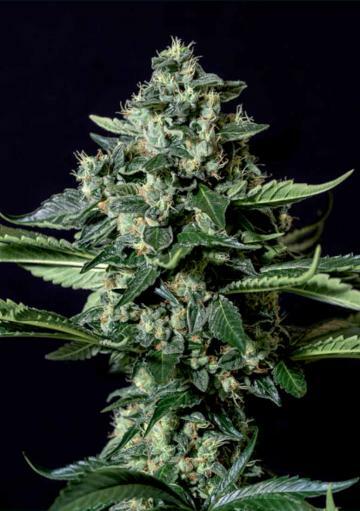 The feminized Gorila Bilbo marijuana seeds from Genehtik seedbank were created to make the American Gorilla genetics available to customers in the wettest climates. All the taste, power and resin of the Gorilla with high resistance to mold! 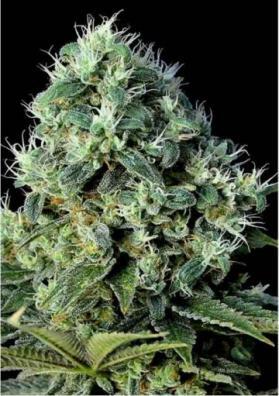 The feminized marijuana seeds Gorila Bilbo come from Genehtik Seeds Bank to offer the Gorilla genetics to anyone who wants to grow it in wetter climates and where summers tend to be shorter. As a result of the genetic work developed by the Genehtik boys, this strain is the result of a long selection of plants resulting from the crossing of the famous Gorilla Glue #4 (Chem Sister x Sour Dubb x Chocolate Diesel) with the acclimatized strain "Bilbo". The result is a plant that maintains all the flavor and resin production of the Gorilla but with a special resistance to mold. What is the structure of Gorila Bilbo? The structure of Gorila Bilbo is typical of a hybrid plant, which combines a medium to high size (more typical of Sativas) with a strong production of dense and compact buds (a characteristic of the most Indica plants). Its growth is fast and vigorous and, at the end of the flowering phase, we can expect to obtain flowers very resistant to mold and highly loaded with resin, so it is a strain highly recommended for lovers of extractions. How much does Gorila Bilbo produce? The production of Gorila Bilbo is high and you can expect buds with high quality and very dense. It is a strain that in the interior, with the appropriate lights, can reach 600 grams per square meter while outdoors, with the precious help of the sun, can reach up to 1300 grams per plant. What effect does Gorila Bilbo produce? Gorila Bilbo is a plant with a high THC level, which can reach 25%. For this reason its effect is very powerful and strongly Indica, very relaxing so it is mainly recommended for use at the end of the day. What aroma does Gorila Bilbo have? The taste and aroma of Gorila Bilbo is complex and different aromatic notes can be found in it. Among them we can emphasize the humid earth aroma, to which acid, citrus and gasoline touches are added. How is Gorila Bilbo grown? Gorila Bilbo is a very simple strain to grow, which adapts perfectly to different growing media. All it requires is some attention to EC values as it is a strain that does not like over-fertilization, especially during flowering. The flowering time for this strain is normal and may take, indoors, about 60-63 days. Outdoors it will be ready to harvest about two weeks after the end of summer. Yield: indoor 500-600 g/m2 outdoors up to 1300 grams per plant.